The second and third generation Boeckmann Family Farm in Loose Creek, Missouri, is owned and operated by Denise and Chris Boeckmann. They operate their livestock farm with the help of their children: Rae, Eric, Kristen, and Paul. Chris grew up on the original farm where the Boeckmann Family Farm now resides. The Boeckmann Family Farm offers a variety of all-natural, grass-fed, beef. Their beef is tender, flavorful, and lower in fat, calories and cholesterol, than grain-fed beef. Their high-quality product is fed only grass or grass hay, and produced without the use of antibiotics or added hormones. Boeckmann Family farm beef is frozen fresh and vacuum packed. 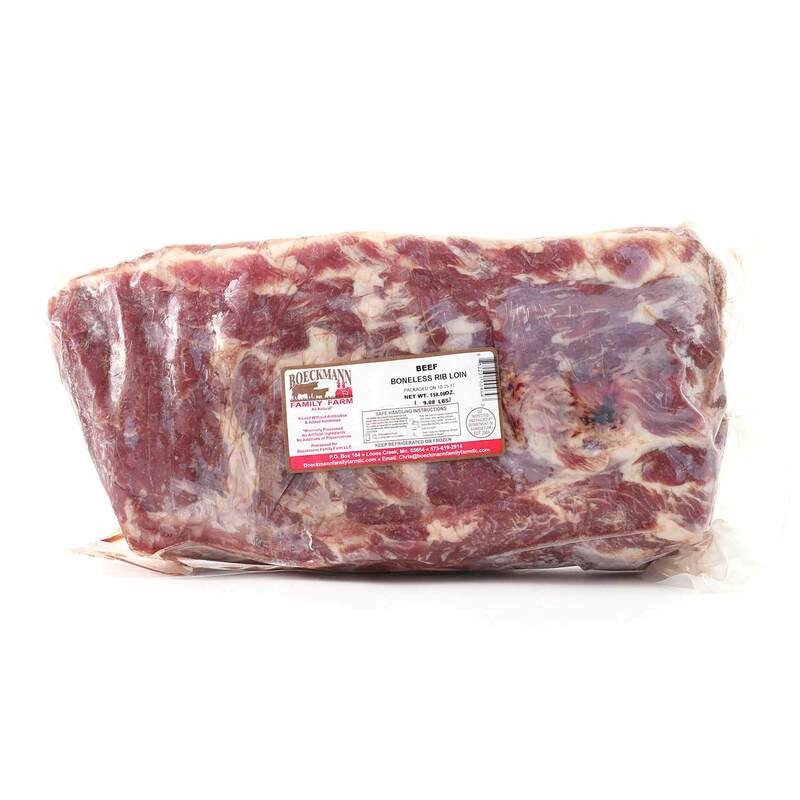 Primal ribeye loin comes from the rib section of the cow and it can be prepared whole as a prime rib roast or cut into individual ribeye steaks.